The pecan nut is such a versatile nugget of nutrition. It's tasty, packed with essential nutrients and great for cooking and baking. 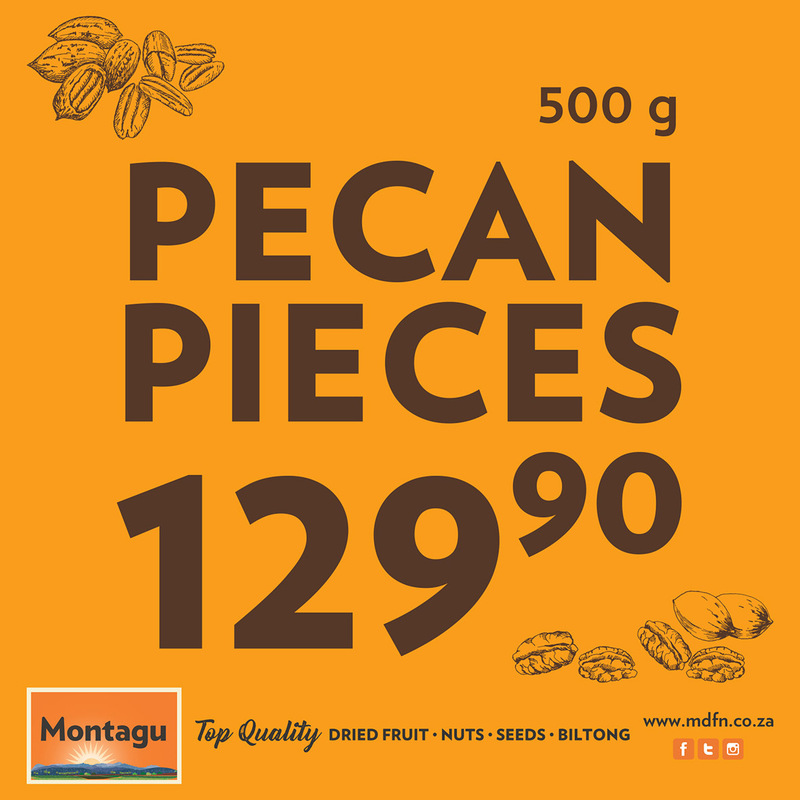 Our pecan pieces special is on until Sunday 10 February 2019. 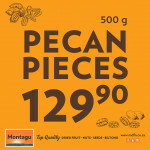 Only R129.90 for 500g.